In just a few short months, the Kardashian family will add another baby to their brood. Rob Kardashian and Blac Chyna are expecting a baby, which will add another bundle of joy to the famous reality TV family. This news comes after a whirlwind romance and engagement, with Chyna and Kardashian planning a wedding and, now, getting ready to welcome their first baby together. Since both parts of the couple are pretty damn gorgeous, this child is set to be a stunner from the get-go, but I took this assumption even further by actually figuring out what their baby will look like. I know, I enjoy weird things like that. You're welcome. What's super exciting about this pregnancy announcement is that this will be the first (and so far, only) baby to carry on the Kardashian name. The family has expressed the importance of that on their show, due to the legacy that Kardashian patriarch, Robert Sr. left behind. I think Rob will make a great parent. He dotes on Chyna's son, King Cairo, and their new baby will make the perfect addition to their growing family. Just for kicks, I wanted to see what the Chyna-Kardashian baby might look like, and it turns out, the Kardashian genes are strong. I can totally see a bit of North West in her. I can also kind of see Beyoncé in her. Is that weird? Anyway, she seems to be a fair mix of both parents, although her complexion is lighter than Chyna's. What a cutie, even if she's not real. 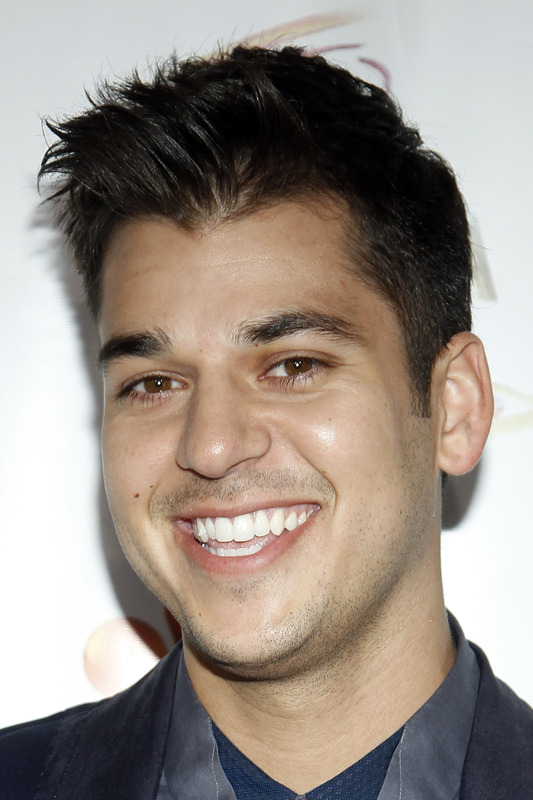 Since this baby boy already has the perfect potential name (another Robert Kardashian, anyone? ), I'm pretty into how cute he'd be based on this truly science-based online generator (kidding, of course). He's got Chyna's eyes and Kardashian's smile, making for a pretty perfect blend of the two. He's gorgeous. I tried another site to see if there was a difference and, well, this is nothing short of terrifying. This baby isn't gender-specified, but has somehow managed to try and steal my soul through the screen. Also I literally cannot tell which parent this child looks like, but now I'm going to have nightmares forever. Of course, it's worth pointing out that this is hardly a scientific manner of figuring out exactly what the couple's future baby will look like, because genetics and all of that mumbo jumbo, but it's still fun to see and imagine. No word yet on when Chyna is due, but I look forward to another totally stylish and gorgeous member of the Kardashian family when he or she makes their grand arrival into the world. Congratulations to Kardashian and his fiancèe!